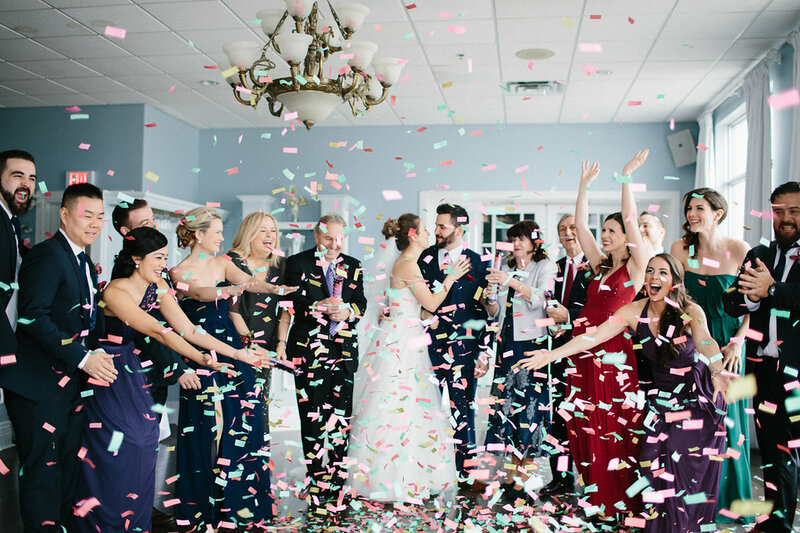 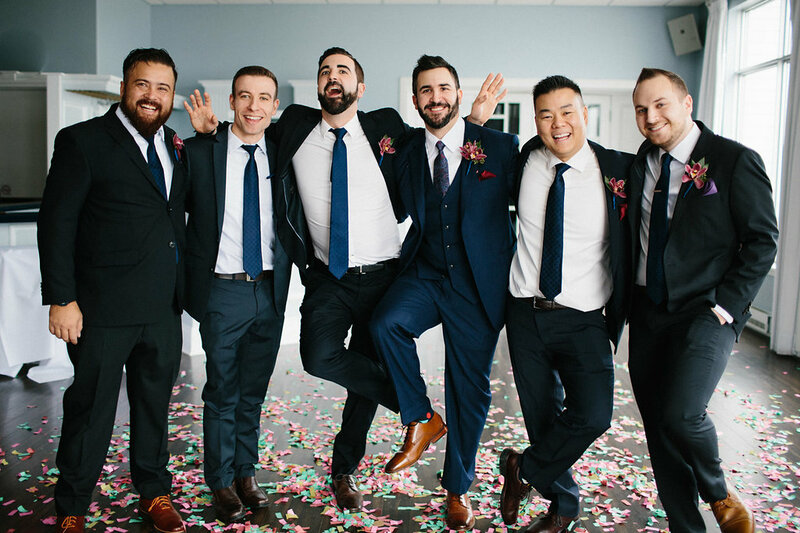 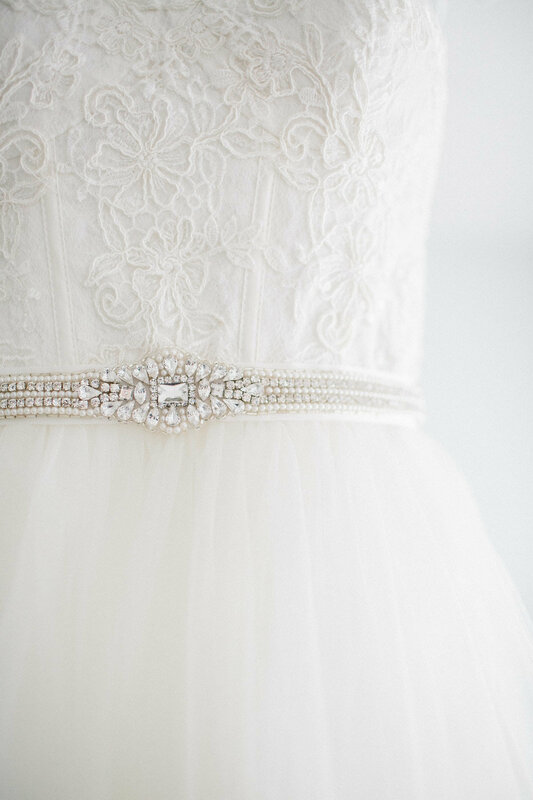 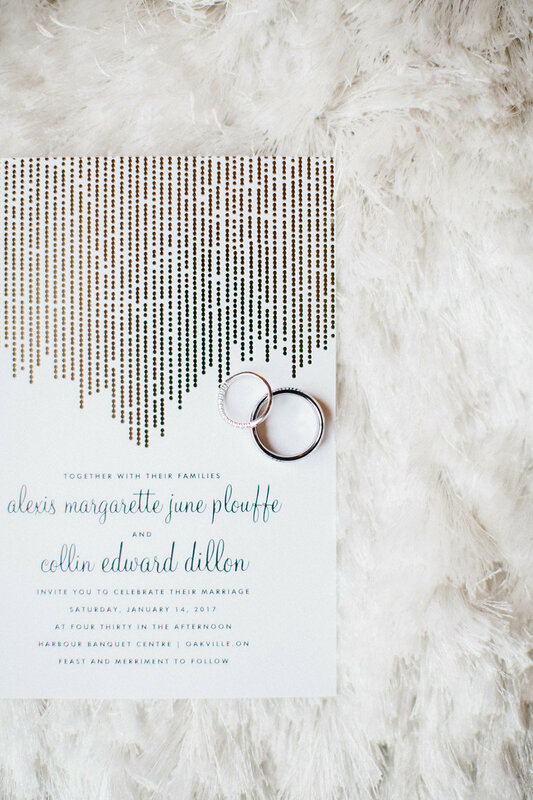 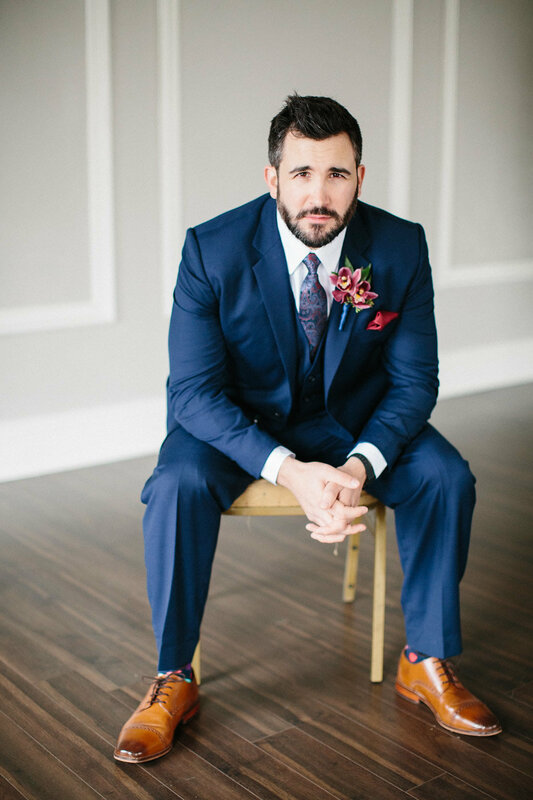 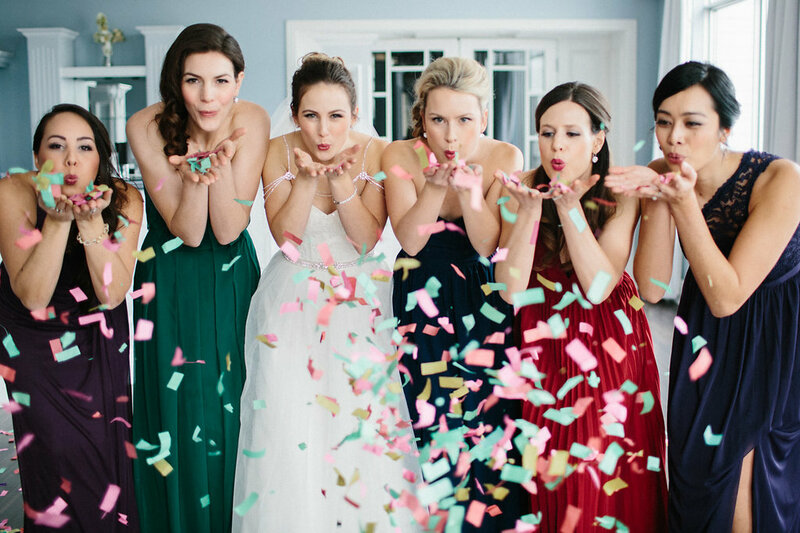 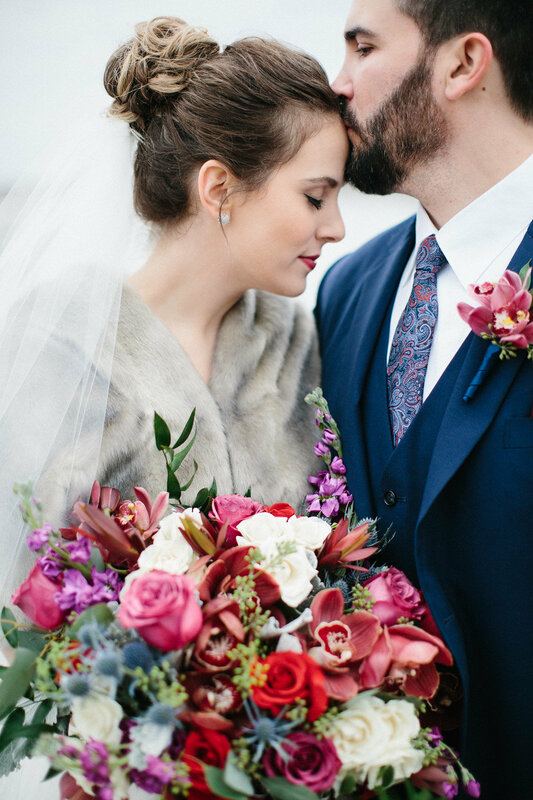 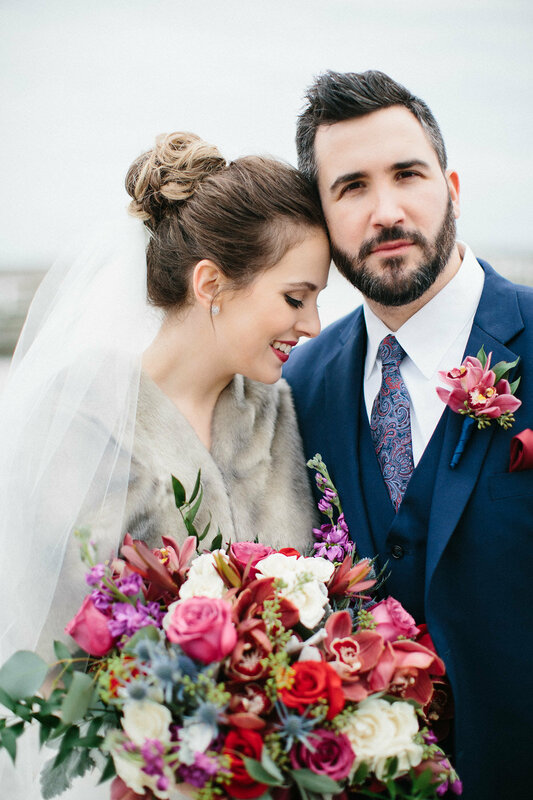 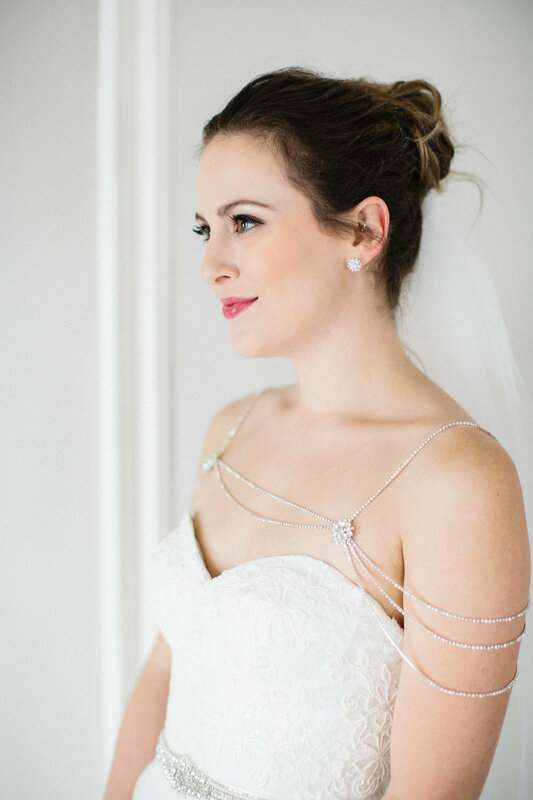 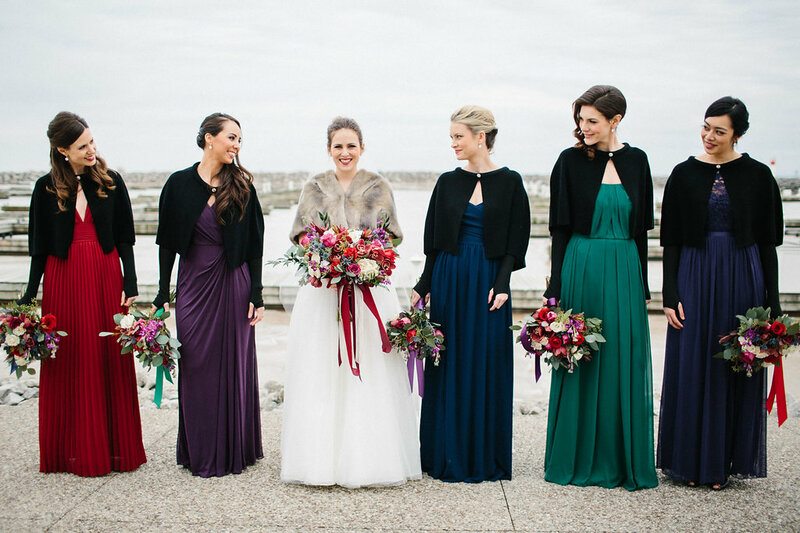 A multitude of jewel tones was bride Alexis’ vision for her wedding day. 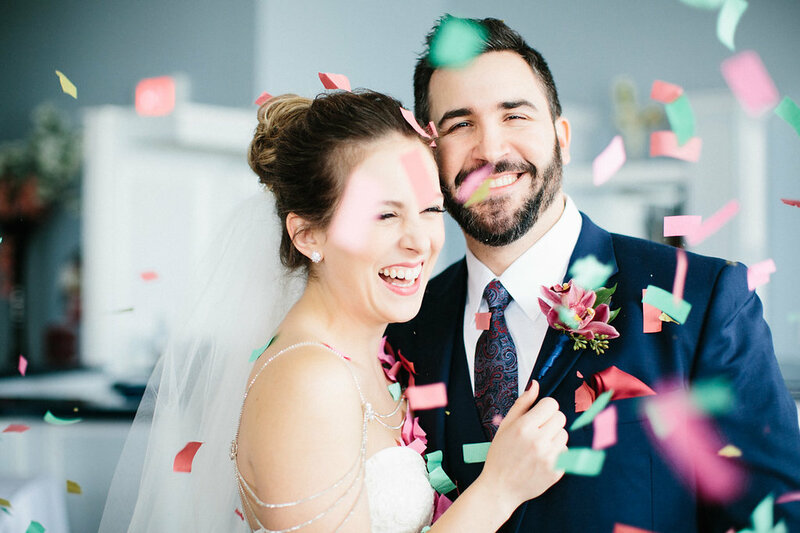 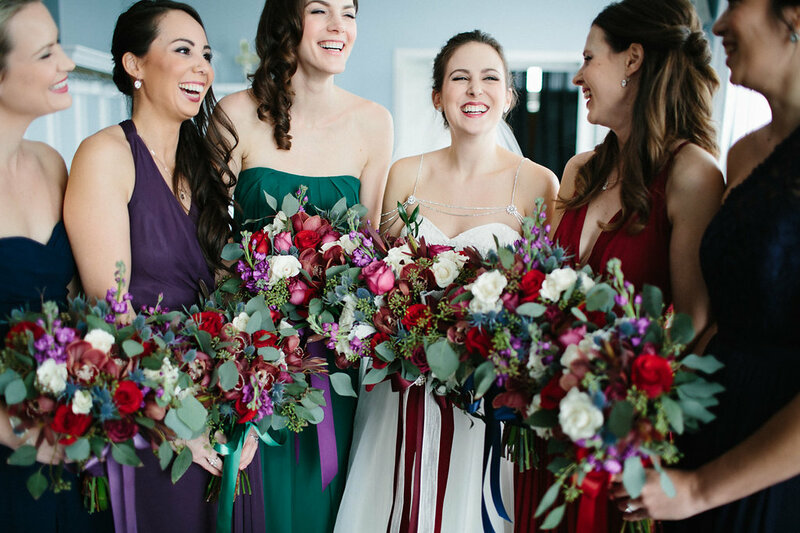 She wanted to stay away from the traditional white winter wedding and infuse the day with lots of bold colour… something we are always a fan of! 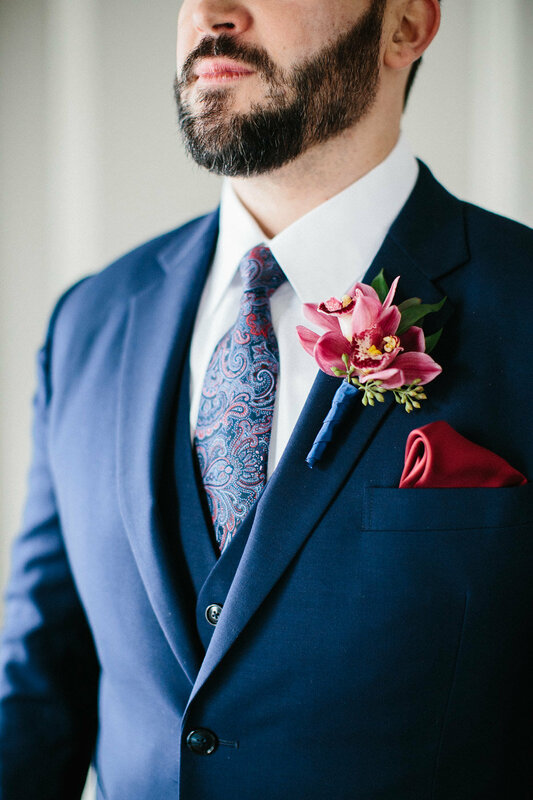 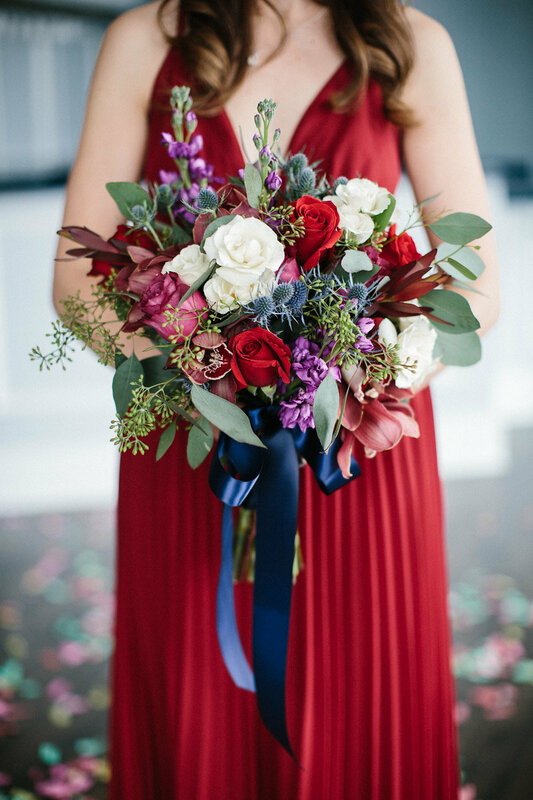 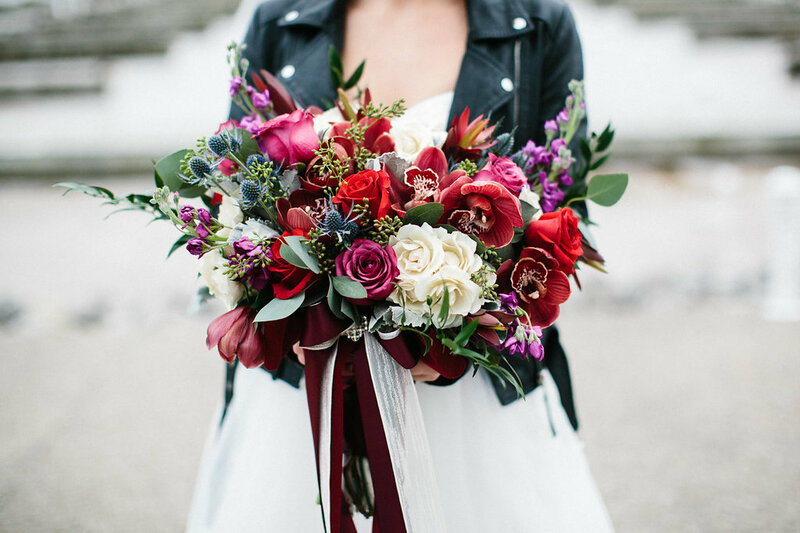 So when she showed us the palette for the bridesmaids gowns (burgundy, crimson, navy, emerald, sapphire and plum) we knew all of these tones would combine to create some really gorgeous arrangements. 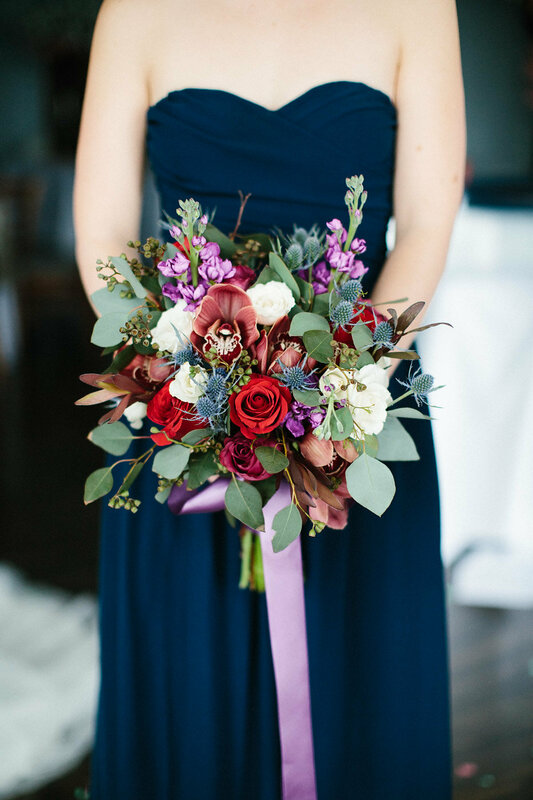 Each bridesmaid carried a matching bouquet of lush winter flowers, including roses, thistle, stock, leucadendron and cymbidium orchids with eucalyptus greenery and long trailing satin ribbons. 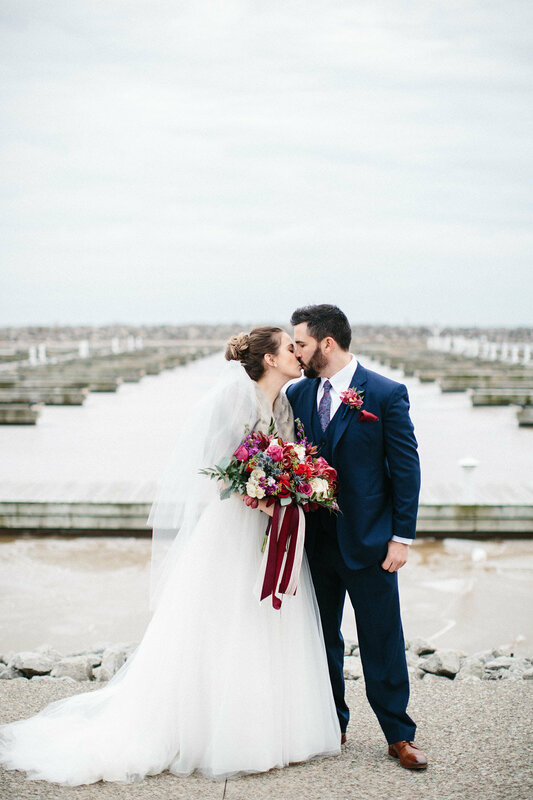 Lined up together for their photographs these colours played off each other beautifully and brought gorgeous depth and richness. 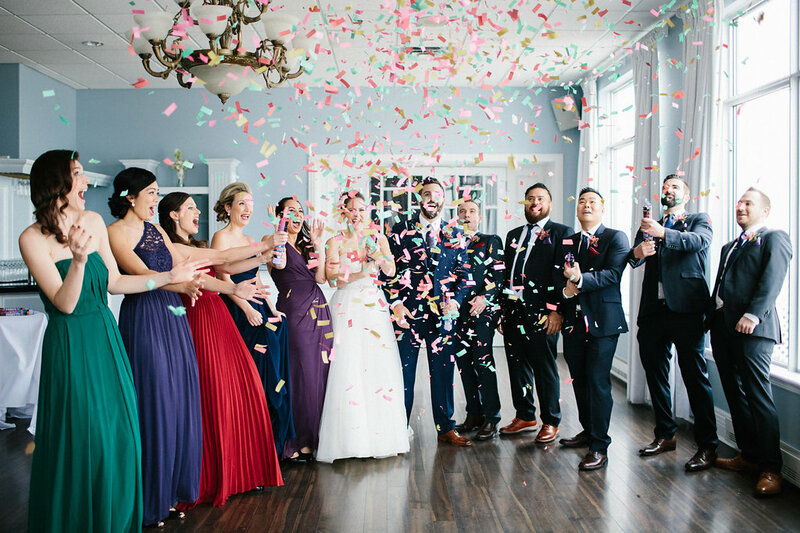 Adding even more fun and colour to their photos, the couple and their bridal party played with confetti canons before heading out to the waterfront for more portraits in their elegant fur shawls. 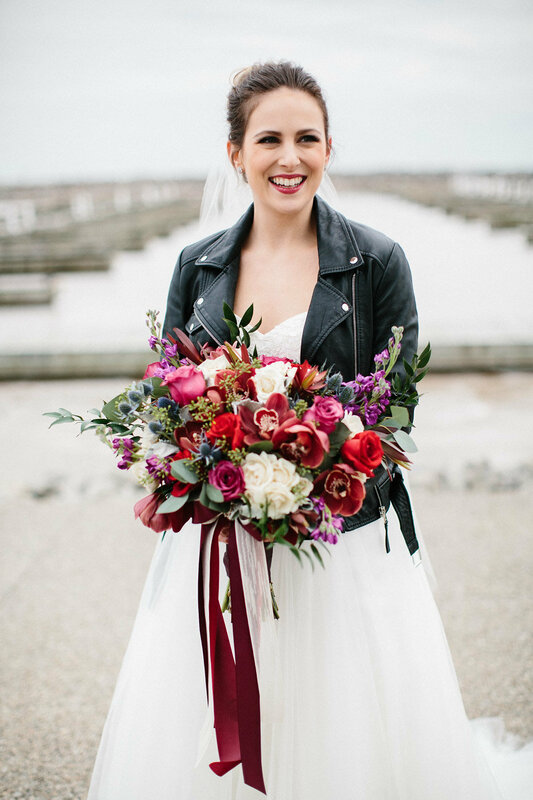 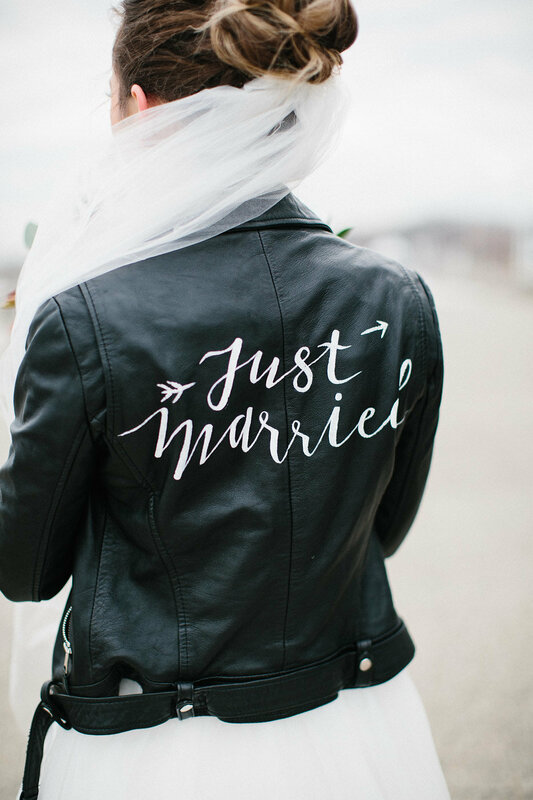 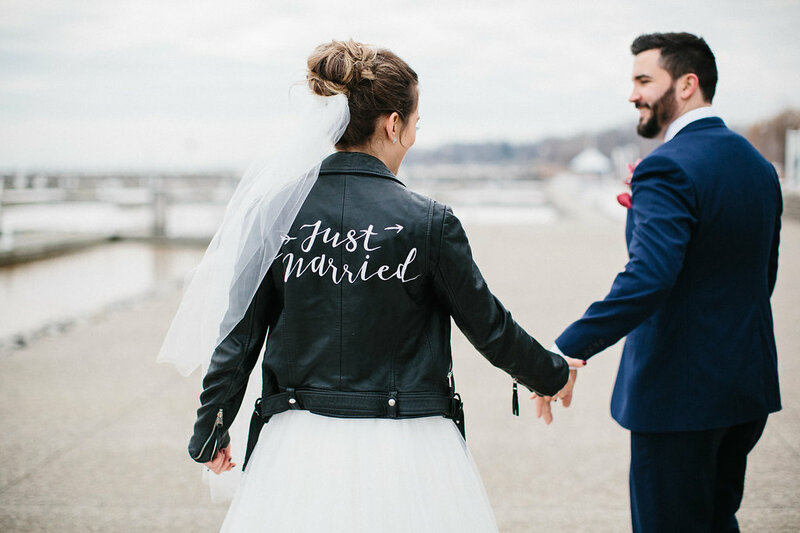 The bride even accessorized with a rocker chic leather jacket emblazoned with “Just Married” on the back. 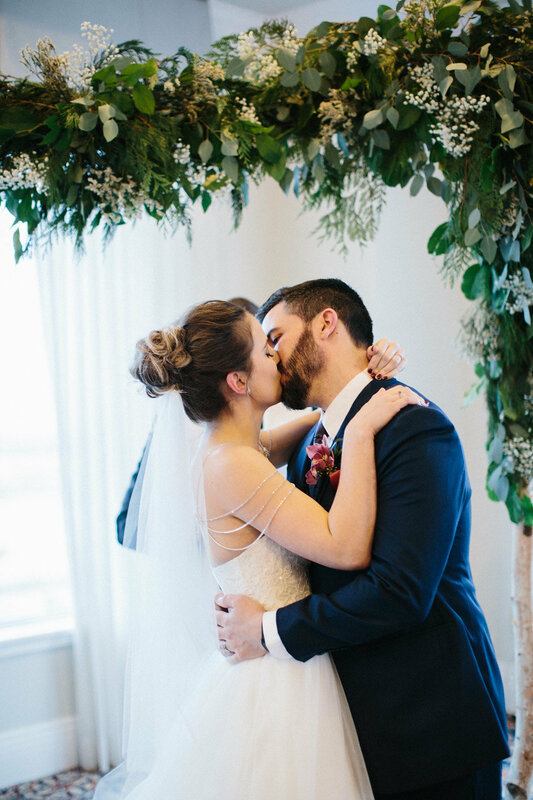 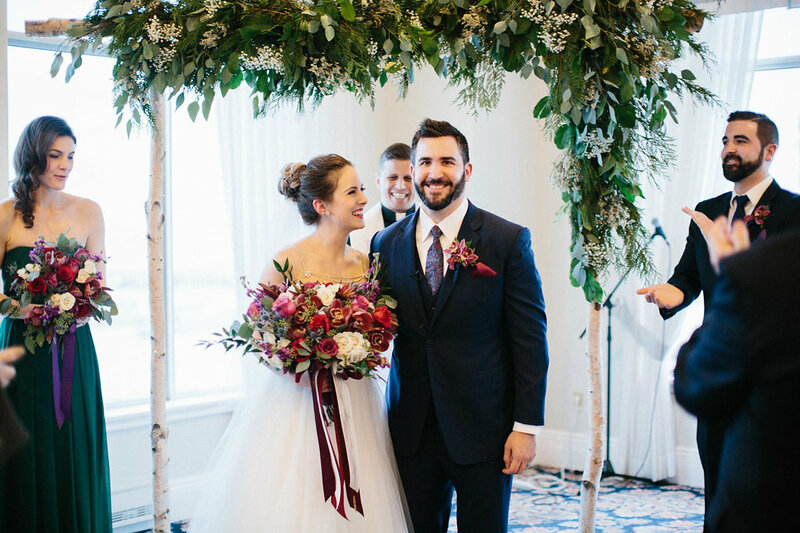 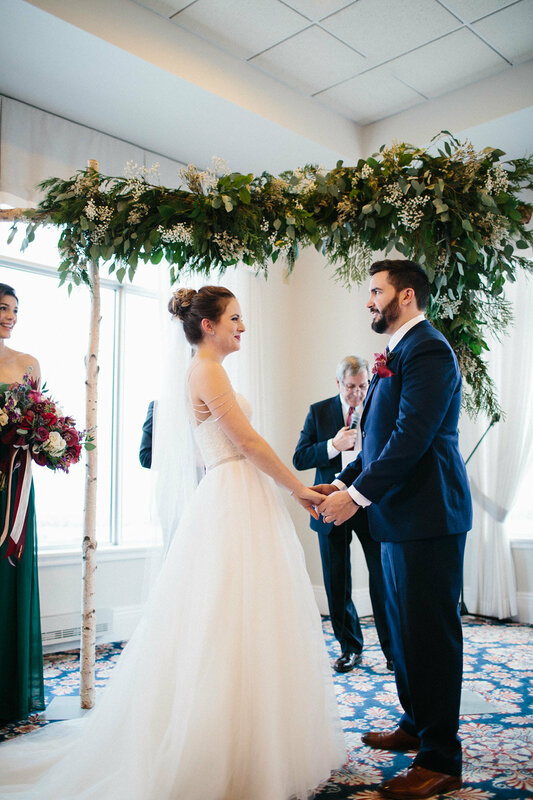 Luckily Corynn from Corynn Fowler Photography was on hand to capture all the wonderful details of this beautiful winter wedding.